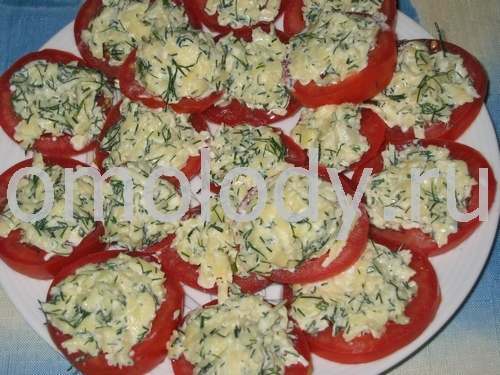 Tomatoes stuffed with cheese. Recipes from Russia. 4 - 5 fresh ripe tomatoes, washed an deseeded. 200 g (7 oz) cheese, grated. 2 -3 tbsp fresh dill, finely chopped. 2. Mix cheese, dill and mayonnaise. Stir. 3. Put the mixture into each tomato. 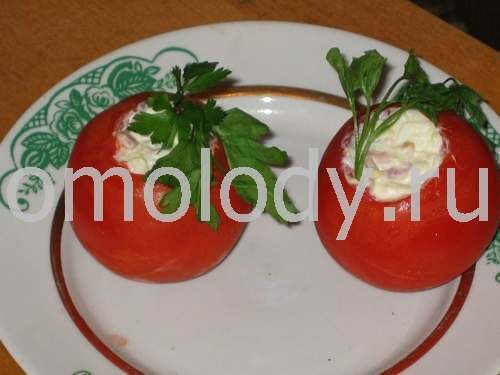 Decorate the stuffed tomato with parsley leaves, chill and serve.